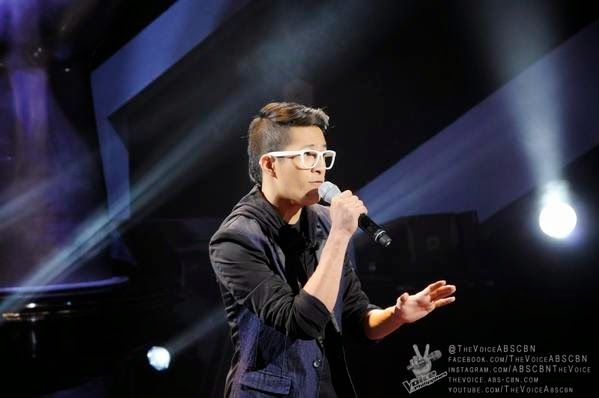 MANILA, Philippines - Digital artist Karl Tanhueco performed John Legend hit song 'All of Me' during the final leg of Blind Auditions of ABS-CBN's top-rating and Twitter-trending singing reality show 'The Voice of the Philippines Season 2 aired on Saturday, November 29, 2014. Tanhueco, 24-year old from Pampanga was able to turn red chair of Coach Lea Salonga. The end of the Blind auditions on Sunday marks the beginning of the next stage of the competition – the battle rounds, where two artists from each team will face off by singing a song picked by their coach.